Determined to protect her son, who has been blessed with an amazing talent, from the overly enthusiastic baseball scouts, difficult coaches, and greedy agents, a single mother uses timeless wisdom and love to help her son make it to the major leagues on their own terms. 25,000 first printing. Jerry B. Jenkins, former vice president for publishing and currently writer-at-large for the Moody Bible Institute of Chicago, is the author of more than 100 books, including the bestselling Left Behind Series. Also the former editor of Moody Magazine, his writing has appeared in Reader's Digest, Parade, American and United in-flight magazines, and dozens of Christian periodicals. He writes books in four genres: biographies, marriage and family titles, fiction for children, and fiction for adults. His biographies have included books with Hank Aaron, Bill Gaither, Luis Palau, Walter Payton, Orel Hershiser, and Nolan Ryan among many others. The Hershiser and Ryan books reached the New York Times bestseller list. Jenkins assisted Dr. Billy Graham with his memoirs, Just As I Am, also a New York Times bestseller. As a marriage and family author and speaker, Jenkins has been a frequent guest on Dr. James Dobson's Focus On the Family radio program. Jenkins is also the writer of the nationally syndicated sports story comic strip Gil Thorp, distributed by Tribune Media Services to 70 newspapers nationwide. He speaks widely, primarily on marriage and family topics, and is a sought-after humorist. He and his wife Dianna have one married son, another in college, and one still living at home with them in Colorado. 6. 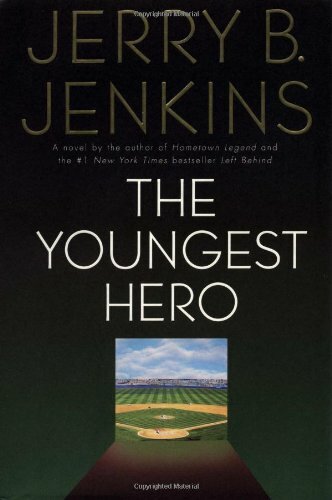 The Youngest Hero Jenkins, Jerry B.